News | Horizon Land Launches Final Phase of Florida Sun Estates - Federal Land, Inc. News | Horizon Land Launches Final Phase of Florida Sun Estates - Federal Land, Inc. Horizon Land, a subsidiary of prime real estate developer, Federal Land, Inc. recently launched the final phase of Florida Sun Estates, a master-planned integrated community in General Trias Cavite, featuring a mix of clustered house and lots, low-rise residential buildings, as well as a commercial complex. Florida Sun Estates is inspired by the scenic coastal state of Florida USA, known as the land of endless summer, where fun and communing with nature is a way of life. 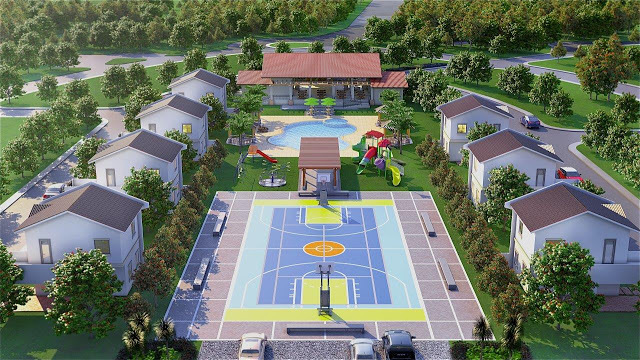 A similar sunny and tropical vibe is nurtured in Florida Sun Estates, more so in the new Orlando phase, a 29,788 sqm development comprised of 161 house and lots, plus resort-inspired amenities and open spaces. Within Florida Sun Estates lies The Plaza, a commercial complex that houses shops, restaurants, recreational spaces, including a transport terminal.